Here's yet another collection of MS related items and bits of news that I'd like to pass along to all who are interested. If you're not interested, please feign interest, as my feelings are very easily hurt. 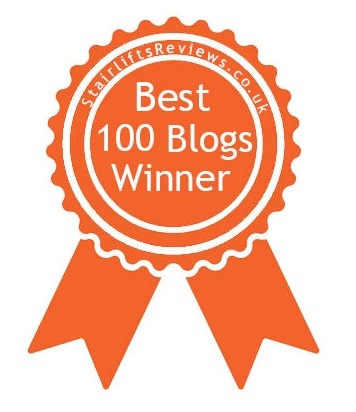 For those expecting another of my essays filled with philosophical musings (mumbo-jumbo?) about life with chronic debilitating illness, no fears, more are on the way. I've got several ideas percolating in my brain pan, but they need just a little more seasoning. In other words, I've been too busy obsessing about my upcoming fantasy baseball league to write them down. I'm all in a tizzy because Chase Utley (the second baseman of the Philadelphia Phillies, as if you didn't know) is going to be starting the season on the disabled list. When will the horrors end? Gilenya, the new oral MS drug recently approved by the FDA and the European drug regulatory agencies, is derived from a fungus called cordyceps that has been used in traditional Chinese medicine for over 5000 years. The spores of the fungus infiltrate the bodies of insects, turning them into zombies that look for sunny places to attach themselves, where they remain motionless while the fungus matures and finally bursts out of their bodies, eventually releasing more spores to continue the cycle in yet more insects. Last week the first annual meeting of the International Society for Neurovascular Disease was held in Bologna, Italy. On hand were many of the notable doctors and scientists researching CCSVI, and many intriguing presentations were given on a wide variety of subjects related to the "vascular theory of MS". Some of the most notable presentations included the results of a study using CT venography to try to detect venous abnormalities in healthy subjects (only 8% exhibited such abnormalities), a preliminary analysis of the effectiveness of CCSVI treatment on MS patients, the role of CNS hypoperfusion (decreased blood flow) in MS pathology, and the before and after results of venoplasty as seen on functional MRI imaging, among many others. (Click here) to see a list of all of the presentations given, along with links to abstracts of those presentations. There's enough here to keep CCSVI junkies busy with several hours of fascinating reading, and as there's nothing more important for a self-advocating MS patient than keeping abreast of the latest research news and information, reading through these abstracts is definitely time well spent. HSCT, a stem cell treatment in which a patient's immune system is completely destroyed through the use of chemotherapy drugs, and then "rebooted" by transplanting their own bone marrow derived stem cells back into the patient, has been shown to curtail disease progression, at least in some patients, over the course of a recently released 11 year study (click here). Patients with active inflammation fared best, with 44% of them showing no progression after an average of 11 years. Only 10% of patients without active inflammation (enhancing lesions) saw such success. On the downside, two patients (of the 35 study) died as a direct result of the immunoablative chemotherapy used in the regimen. However, in the decade plus since this study was started, the chemotherapy regimen used to ablate the immune system has been refined, and recent mortality figures are almost nil. In addition to a halt in progression, some of the patients did see their EDSS scores reduced for a time, but eventually regressed. After three, four, and five years the progression free rates of the treated patients were 80%, so it does appear that the effectiveness of the treatment diminishes with time. 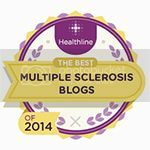 To my mind, these results raise a fair amount of questions, as they would seem to indicate that the underlying cause of MS is not dealt with even when the immune system is completely destroyed and then rebuilt from scratch. Whatever it is that causes MS, whether it be vascular abnormalities, smoldering viral or bacterial infections (such as EBV, chlamydia pneumonia, or HHV-6), environmental toxins, genetics, or, more likely, a combination of all of the above, is still at work, and eventually causes the immune system to go on the attack once again, at least in over half of the patients studied. Intriguing results, to say the least. Sativex, an anti-spasticity medication derived from the demon weed marijuana, has been approved in six more European countries, in addition to the UK and Spain, which had previously approved the drug (click here). Canada has also approved the use of Sativex (which is a spray used under the tongue) for spasticity, as it has been proven to be quite safe and effective in combating the painful and debilitating condition in MS patients. Spasticity results in stiffness of the muscles, and in extreme cases locks muscles frozen in position. The ailment is the result of muscles receiving nerve signals to contract, but not the signals to relax once again. It is a major cause of pain and disability in Multiple Sclerosis patients. Here in the United States, where the powers that be are wise and benevolent enough to protect hapless chronically ill patients from the decadent and debauching effects of any medicine that might be derived from the soul sucking marijuana plant, Sativex cannot even be tested, and instead we are left to take anti-spasticity drugs that in many cases leave patients in a state of extreme stupefaction. Here's yet another edition of Bits and Pieces, in which I assemble various MS related (and sometimes non-MS related) materials for your reading and/or viewing pleasure. These are all items which have piqued my interest for one reason or another, which I feel the compulsive need to share with my loyal (or even disloyal) readers. I hope these items pique your interest also, as having one's interests piqued can really be the peak of one's day. Anyway, let's get on with it. Here's a peek at what has piqued my interest over the last couple of weeks. To the right is a picture of a pique peek peak. CCSVI stuff: the International Society of Neurovascular Disease convened a meeting of some of the foremost CCSVI experts on March 14-15, in Bologna, Italy. Much important data was presented, including studies on the epidemiology of CCSVI and MS, the role of oxygenation and tissue drainage, the role of iron, advanced diagnostic imaging, the treatment of CCSVI, and development of animal models of CCSVI. Dr. Paolo Zamboni, who first put forth the CCSVI hypothesis, demonstrated new technology designed to improve the ease and accuracy of diagnosing CCSVI, in the form of a collar that can be placed on a patient's neck, which measures the difference in the volume of blood going through the jugular veins when measuring patients in an upright and then supine position. (Click here) for a summary of the conference findings, which will open up as a Word document. In my version of Word, the document opens up in a multipage format that makes it difficult to read. If you experience the same problem, simply go to the "view" menu and choose the "one page" option. From March 26-31, the Society of Interventional Radiology (SIR) will hold their annual meeting in Chicago, at which CCSVI will be a major topic of discussion. On the evening of Tuesday, March 29, the CCSVI Alliance will be holding a Doctor's Roundtable Discussion on CCSVI and MS, which will be open to the public. The panel includes a long list of some of the most notable names in CCSVI research and treatment, and the discussion, which will include questions from the audience, should be absolutely fascinating. Anyone in the Chicago area with an interest in CCSVI should make every effort to attend. (Click here) to register for this free event. Researchers at Purdue University have discovered that the decades-old hypertension drug Hydralazine may delay the onset and reduce the severity of MS symptoms (click here). The scientists theorize that the drug works by blocking the action of a toxic compound called acrolein, which is found in automobile exhaust and cigarette smoke. Coincidentally (? ), a few years ago the anti-hypertension (high blood pressure) drug Lisinopril also showed promise in the fight against MS (click here). Might the action of these two drugs, both of which regulate blood pressure, play into the CCSVI hypothesis? Common sense would seem to indicate so, but common sense would also lead you to believe that both of these drugs, having long ago been proven safe, would at this very moment be undergoing exhaustive testing to ascertain just how effective they could be in treating the scourge of Multiple Sclerosis. "Who's going to pay for it?" he asked. A standard proof-of-concept study with about 200 patients would cost in the vicinity of $20 million. ACE inhibitors are as inexpensive as any prescription drug at this time, so pharmaceutical companies won't see any profits from financing a study, he said. The line to the vomitorium starts behind me. On a much happier note, many people don't realize it, but service dogs aren't only for the blind. These amazing pooches can be of considerable benefit to disabled MSers, as they can be trained to do a variety of tasks, including retrieving dropped items, turning on lights, pulling wheelchairs, preventing falls, and helping to combat depression. All that, and as part of the package you get a fuzzy best friend for life who will love you unconditionally. For more information, (click here). A new online magazine, Atrium (click here), is dedicated to helping shift the thinking of a new generation of doctors and healthcare practitioners in this emerging age of widespread access to information and Internet social networking. These two factors are changing the patient-doctor dynamic, which in turn should change the way that medicine is practiced. Started by two extremely motivated Yale medical students, Atrium features articles, insights, and opinions on a wide variety of subjects, including not only medicine but also art, music, and philosophy. 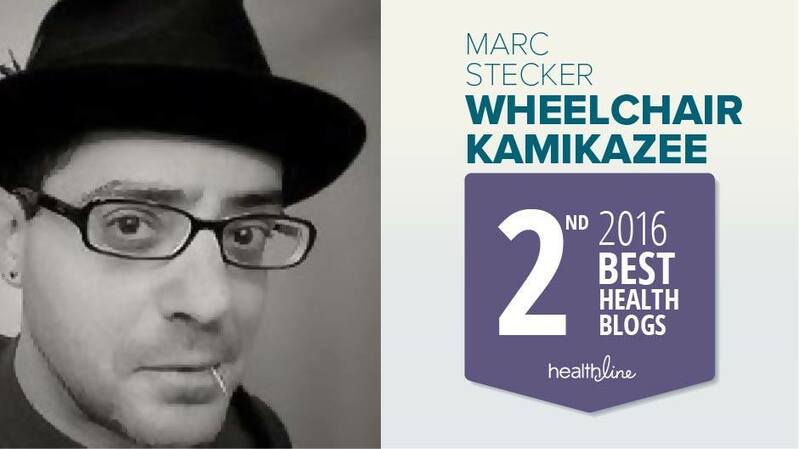 The editors have decided to include some Wheelchair Kamikaze essays in the mix, and I'm honored to have been chosen to represent a patient's point of view. I'd urge everyone to check out this new online resource, skipping over my essays to read the wealth of other fascinating material Atrium has to offer. Readers of Wheelchair Kamikaze know of my fondness for photography, and I recently came across the story of Flo Fox, a photographer who was born partially blind and later developed Multiple Sclerosis, which robbed yet more of her vision as well as her mobility. In the 1970s, Flo Fox was a personality in the edgy downtown New York art scene, and had gallery and museum shows around the world. She rubbed elbows with Andy Warhol, appeared on late night talk shows, and was even featured on "Live, with Regis and Kathy Lee". By pure happenstance, Flo Fox appeared in a 2010 documentary about Joan Rivers, when Ms. Rivers delivered food to Fox's apartment while doing volunteer work for the group God's Love We Deliver. Now in her 60s, Fox lives in housing for the blind, but maintains her moxie and mischievous spirit. Looks like I'm only following in her wheel tracks, as it seems like Flo Fox was the original Wheelchair Kamikaze. (Click here and here) for more on the Flo Fox story, and feast your eyes on the videos below, one of which is a montage of her photos of 1970s New York City set to some very cool music, and the other a clip of her appearance with Regis and Kathy Lee, circa 1983. This past Monday night, I appeared on the Blogtalk Radio Internet program "CCSVI-Been There, Done That". The show featured a range of guests relating their different experiences with the CCSVI treatment procedure. The patients profiled represent a cross-section of the possible outcomes of CCSVI venoplasty, including some who saw tremendous benefit from the procedure, some who saw benefit but then restenosed, and others who saw no benefit at all. It avoids the controversy surrounding the CCSVI hypothesis itself, and puts a very human face on MS and the promise of CCSVI. Edited to add: I've been getting word that some people are having trouble with the Blogtalk Radio interface, above. It works fine on my browser, but sometimes these things can be finicky. Be advised that the first minute and thirty seconds or so of the program are a commercial and then some introductory music. To play the program, you have to click on the white arrow symbol on the left side of the interface. If the interface continues to malfunction, you can access the program directly from the Blogtalk Radio website (click here). Once on the website, scroll down until you get to the "CCSVI-Been There, Done That" section, at the bottom of which you'll find clickable buttons to play the program, along with some other options. Sorry for the inconvenience, hopefully everyone who wants to listen to the program will be able to by either using the above gizmo, or going directly to the Blogtalk Radio website. Thanks. 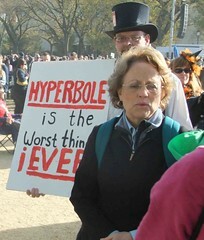 CCSVI: Trying to Take the "Hyper" out of “Hyperbole"
Over the last several months, many of the Internet MS forums, chat rooms, and social networking sites have become places of sometimes heated conflict, in large part due to the extremes of emotion brought about by the topic of CCSVI. In general, open debate is a good thing, as it allows for the formation and refining of informed opinion, but in some cases, on both sides of the argument, I've seen statements presented as fact which simply aren't so, and an escalation of rhetoric that rather than adding clarity to the issue begins to obscure it. Given the potentially dreadful outcomes of Multiple Sclerosis, and the raw emotion that such prospects engender in those that suffer from the disease, it's not surprising that disagreements can often become heated. 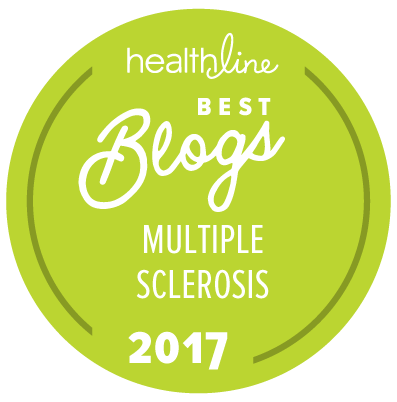 As regular readers of this blog know, I believe there is much merit to the CCSVI hypothesis, but I'm also cognizant of the fact that the theory is likely not THE one and only answer for the majority of MS patients. For a select few it may be, but for most it is likely a piece of a very complex puzzle; just how large a piece has yet to be determined. Here then, are some of the more commonly seen hyperbolic statements made about the CCSVI and its ancillary topics, and an attempt at taking a reasoned approach to them. "CCSVI cures MS/CCSVI is a hoax" - these are two sides of the same coin, the utopian/dystopian opinions on the subject. Let's take a look at the negative statement first, as it borders on the truly ludicrous. When the CCSVI hypothesis first surfaced in the mainstream MS community, roughly 18 months ago, several prominent neurologists and representatives of the MS societies went on record stating that the theory had no validity whatsoever, and that patients were foolish to be wasting their time, emotion, and money pursuing the issue. These statements were made, I suppose, based on an instinctive defense of territory, and a very rigid adherence to traditional MS dogma which states that MS is an autoimmune disease confined to central nervous system, caused by an immune system that, for reasons unknown, has taken to attacking a patient's own cells. Unfortunately, this autoimmune model of the disease, which has held sway for over two decades, has done little to advance the cause of curing MS. It has, though, led to the production of a family of high-priced drugs that modulate or suppress the immune system which do increase the quality of life for a percentage of the patients taking them, but do absolutely nothing by way of offering a cure. One would think that MS neurologists, as scientists devoted to unraveling one of the most cryptic of medical puzzles, would have their interests piqued by such an outside the box take on the disease. Instead most turned their noses up to it as if it were a lump of feces served on a dinner plate. I can find no logical defense for this stance, as, with the best interests of their patients in mind, the MS establishment should have urged effective trials of the CCSVI hypothesis to be undertaken with great haste, to either prove or disprove CCSVI as quickly as possible. 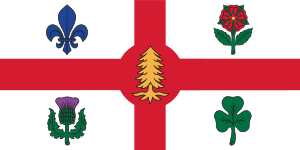 If proven right, the doubters could have quickly put a stake in the heart of CCSVI and moved on; if proven wrong, they would have ample reason to reassess their position and let the revolution begin. Either way, although the majority of evidence in favor of the hypothesis was and still is mostly anecdotal, the promise of a safe and effective new treatment and the potential of an entirely new way of looking at MS, developed by a reputable physician, should deserve serious scientific consideration. On the flipside, some of the most fervent CCSVI advocates portray the hypothesis as a breakthrough cure for MS, a viewpoint that, while possible, simply isn't supported by the weight of the currently available evidence. A growing body of anecdotal reports certainly indicates that clearing blockages in the CNS associated veins of some MS patients provides relief of symptoms, but the degree of relief varies widely from patient to patient, and a signifiant number of patients experiences no relief whatsoever. Although this lack of effectiveness of CCSVI treatment in some patients is of course disappointing, it really shouldn't be surprising, as we do know that MS presents itself very differently from patient to patient, and gets increasingly more difficult to treat the longer the duration of the disease. Different subpopulations of patients almost certainly have different disease triggers, and there's the distinct possibility that what we call Multiple Sclerosis isn't really one disease at all, but rather a collection of similar diseases that share symptomatic and diagnostic profiles. Vascular issues may play a large part in the disease of some patients, but a much smaller role, or no role at all, in the disease of others. There is still much to learn about CCSVI, and we don't yet even know the prevalence of the venous abnormalities collectively known as CCSVI in the healthy population. Stating anything about CCSVI, pro or con, with unequivocal certainty only sets one up to be proven wrong. 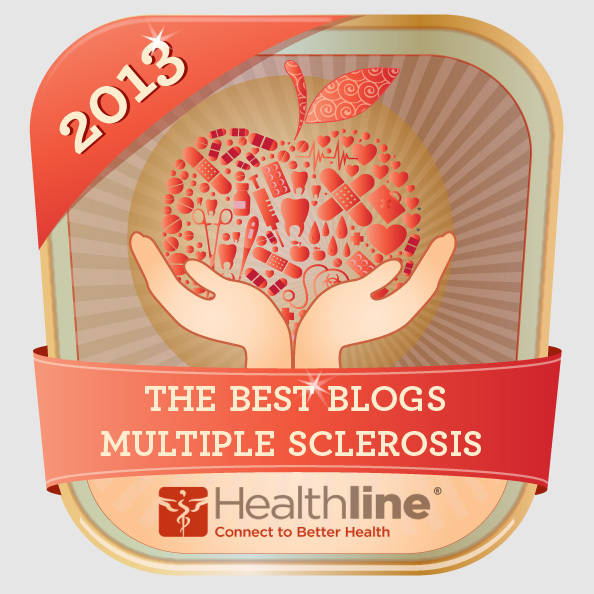 "MS is a vascular disease! Neurologists should step aside!" - It's easy to understand the frustration that many patients have with their neurologist, and neurology in general, over the CCSVI issue. Though one wouldn't expect neurologists en masse to wholly embrace the theory, the ham-fisted stonewalling experienced by many patients at the hands of their doctors has quite understandably left many angry and disgusted. Still, even in a best case scenario in which CCSVI proves to be a major key to unlocking the MS puzzle, neurologists would continue to have a major role in treating the disease. In such a rosy scenario, two possibilities present themselves: MS is a vascular disease with neurologic implications, or it is a neurologic disease with vascular implications. In either case, neurologists would remain a significant part of the picture. Many of the interventional radiologists (the physicians who perform the CCSVI treatment) I've talked to describe themselves as medical plumbers. Their specialty is unblocking and fixing defective veins and arteries. They readily admit to having little or no knowledge of the neurologic implications of the venous abnormalities they're encountering in MS patients, they are simply attempting to fix what they see as broken vasculature and disrupted blood flow. Time and time again, the IRs doing CCSVI treatment have called on neurologists to join them in an interdisciplinary investigation of the hypothesis, for the very reason that the expertise possessed by neurologists is necessary to unravel all of the questions surrounding CCSVI. As noted above, many MS patients are proving to be non-responders to CCSVI treatment. Their stories aren't heard much on MS forums or Facebook pages, and very few are making YouTube videos saying, "Look at me, I'm a CCSVI loser", but there are many MSers who have undergone venoplasty and experienced little or no benefit. I receive a steady stream of e-mails from some of these patients, perhaps because I too underwent the procedure but didn't experienced benefit (not that this has soured me on trying again, as I consider my procedure a "successful failure" (click here), and I expect to give it another go within the next few months). Certainly, for patients who don't respond to CCSVI, neurologists will continue to play the primary role in treating their disease. Even in the case of CCSVI "hyper responders", in whom the treatment procedure works wonders, neurologists will be responsible for monitoring and treating the residual neurologic damage that will almost inevitably remain even if their disease has been eliminated. 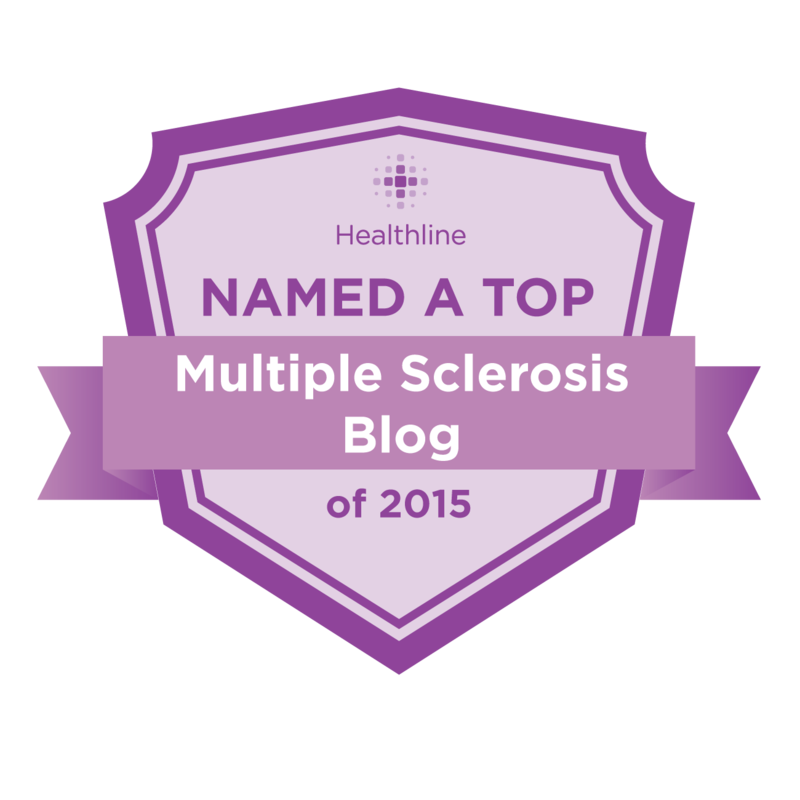 Unless caught in its earliest stages, MS does damage to nerve cells, which have little capacity for healing. Once damaged beyond a certain point, cells in the CNS do not regenerate, which is why those who suffer brain or spinal cord damage due to accidents or stroke rarely recover all of their lost abilities. MS patients with significant long-term mobility and/or cognitive issues would be left with serious neurologic deficits even if the MS disease process could be completely stopped by addressing their vascular issues. The advancing science of neuroprotective and neuroregenerative medicine falls squarely in the province of neurology. Therefore, like it or not, neurologists will remain a prominent part of the MS picture, regardless of the eventual success or failure of CCSVI. "All trials done by researchers with connections to pharmaceutical companies should be disregarded" -On its face, this statement would seem to make sense due to the perceived conflict of interest of the researchers involved, and it's become the rallying cry against all published research with negative implications for CCSVI. The typical reaction sequence goes something like this: someone will post news of a research report critical of CCSVI on an MS forum, and within minutes other posters will report on the pharmaceutical company ties the researchers behind the report inevitably have. Case closed, the researchers were biased, and the trial results should be relegated to the trash heap. The unfortunate truth, though, is that if all medical research done by investigators with ties to Big Pharma were to be disregarded, there would be practically no medical research left to ponder. The tragically dysfunctional medical research model that has evolved in the past several decades relies on Big Pharma to fund the vast majority of medical research trials. Furthermore, the tentacles of Big Pharma reach far and wide, their suckers touching almost all researchers and research facilities. The only entities completely untainted by pharmaceutical moneys are government and some academic facilities, both of which are woefully underfunded given our deficit laden government and the economic limitations of privately funded academia. Given such a research milieu, it's almost impossible to find late stage medical research that is free from the taint of pharmaceutical financing. Almost all prominent researchers will have at some point in the careers been associated with pharmaceutical or medical device companies. This includes the heroes of CCSVI, the interventional radiologists. Just as there is stiff competition among pharmaceutical companies to woo neurologists to prescribe their immensely profitable drugs, medical device companies compete to get physicians to use their catheters, angioplasty balloons, and stents. Such are the realities of a medical industrial complex that feeds on the plight of patients. Let's not forget, too, that there is potentially a tremendous amount of money to be made treating CCSVI. The profit motive cuts both ways. We are already seeing the beginnings of aggressive marketing campaigns being conducted by CCSVI clinics in competition for patients, a development that will likely only increase as time goes on. "Throw out your MS drugs; they're all snake oil and poison" - I'm no fan of Big Pharma and many of the products they produce. As for-profit public corporations, the big pharmaceutical companies are legally mandated to be beholden to their shareholders, not to the patients who take their products. Thus, the primary goal of any pharmaceutical company CEO is to increase their company's bottom line, a goal that is often at odds with that of finding cures, the development of which would effectively eliminate the consumer base of the company’s products. Multiple Sclerosis is now an $8 billion a year industry, and MS patients on disease modifying drugs have become indentured servants to the companies that produce MS medications. That said, the current crop of MS drugs do increase the quality of life for a significant percentage of the patients taking them. No, they do not cure the disease. It is uncertain as to whether or not they even slow the progression of disease, as research can be found to support both sides of this issue (for "con" click here, for "pro" click here, here, and here). They do, however, cut down on the relapse rates of patients with relapsing remitting disease, in some cases to a dramatic degree. Since MS relapses can leave a patient incapacitated or days, weeks, or months, relief from them is no small achievement. This benefit does come at a potential price, as all of the MS drugs carry with them a wide range of side effects, and it seems the more effective a drug is, the more horrendous its potential side effect profile becomes. Still, many patients refuse to come off of these drugs despite the risk involved, due solely to the vast improvement they've seen in their quality of life as the result of having taken them. Twenty years ago, MS was a "diagnose and adios" disease, one which physicians had almost no weapons to combat. For patients with RRMS, that picture has changed dramatically, even if the drugs now available are flawed, some deeply so. Progressive patients still have very little in the way of effective therapies, and their treatment options remained primarily those of basic symptom management. MS is a terrible disease, a hateful and frightening thing that those who suffer from it, and those who love them, universally detest. My fondest desire is to see CCSVI fulfill its potential. But raising the bar to impossible heights, or making well-intentioned but reckless statements may only serve to impede the progress of CCSVI advocacy. Hope is a wonderful and vital commodity, but in matters so precious, it must be tempered by reason. 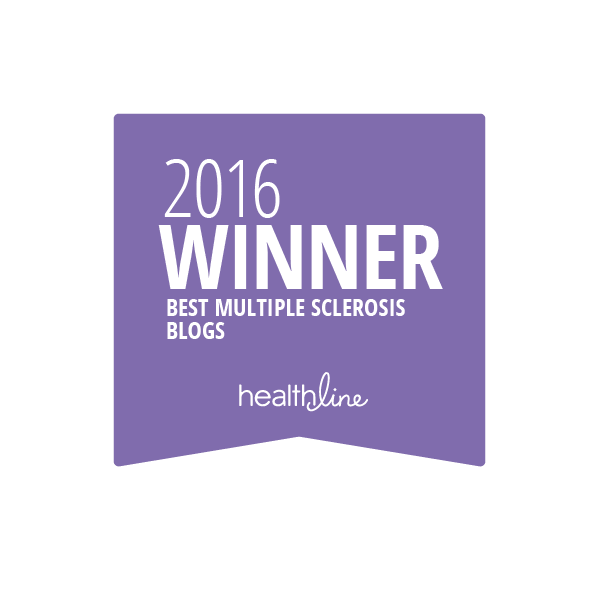 I've recently been working, along with several other MS bloggers, with a healthcare advocacy website called WEGO Health (click here). WEGO Health is conducting a study on people’s use of new technologies for health and they need your voice to understand the potential of technology to empower patients. The survey will take about 10 minutes (you can stop anytime & come back later). All completed survey responses will be entered into a drawing to win an iPad, one of three iPod Touches or one of 200 iTunes gift cards. Everyone will receive a report on our survey findings. This survey is only open until Friday, March 4, so if you'd like to help, please do so soon.